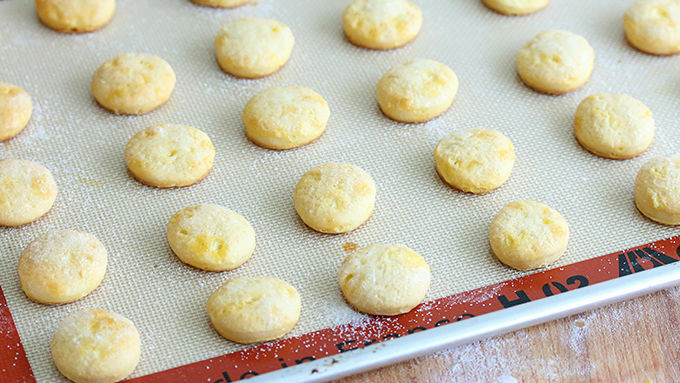 Lightly flour a work surface and roll out a biscuit into a 5-inch circle. 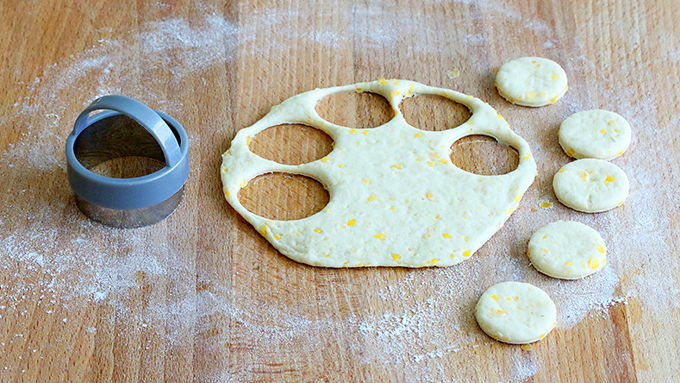 Use a 1 1/2 inch biscuit cutter and cut out 7 circles from each biscuit. 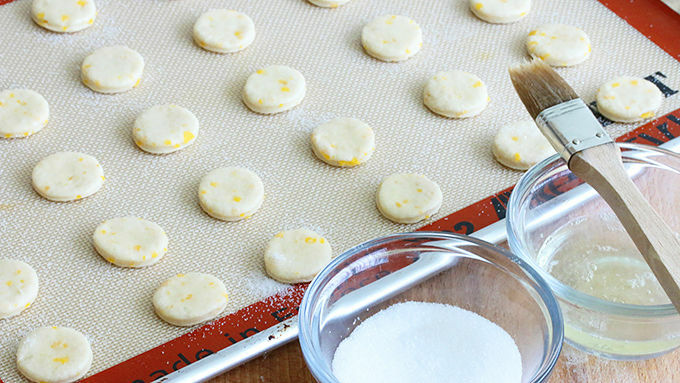 Place them on a nonstick cookie sheet and repeat for remaining biscuits. Brush each biscuit round with egg white and sprinkle with sugar. Bake for 10-13 minutes or until very lightly golden. Let cool completely. 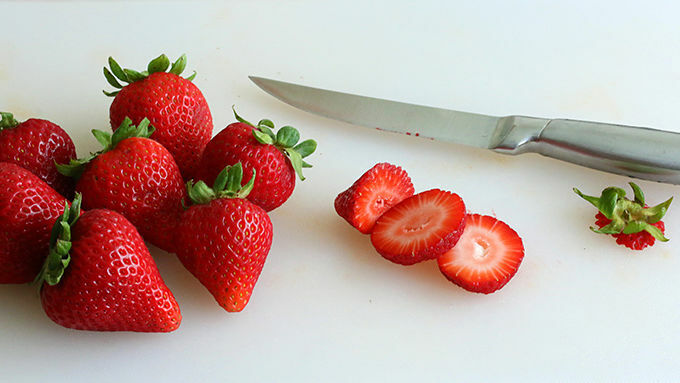 While the biscuits are baking, slice the strawberries about 1/4-inch thick. Turn the summer classic, strawberry shortcake, into an easy-to-eat kabob – perfect for picnics and barbecues! As beloved as old classics are, an overhaul in presentation can bring them new life. Like strawberry shortcake. We all love strawberry shortcake. That buttery slice of cake topped with strawberries and whipped cream – I'll never turn down a plate of that. But how about something a little more fun? 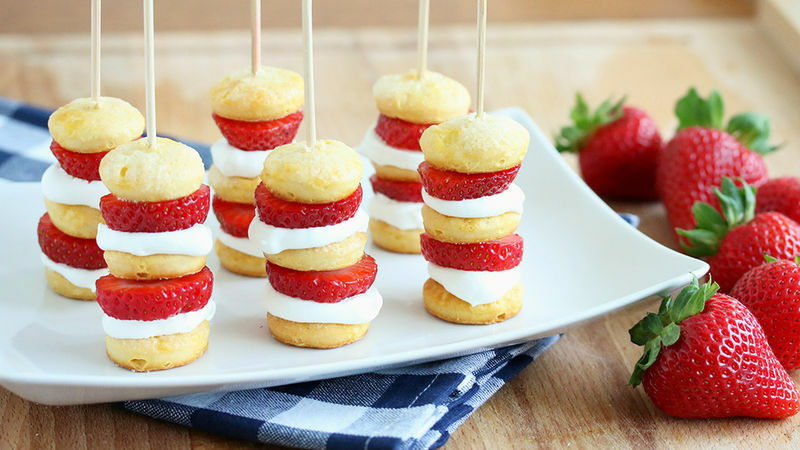 These sweet little strawberry shortcake kabobs inspired by Somewhat Simple are ridiculously easy to make, quick to assemble, and are guaranteed to get some smiles. They're just so darn cute. Let's get kabob-ing!